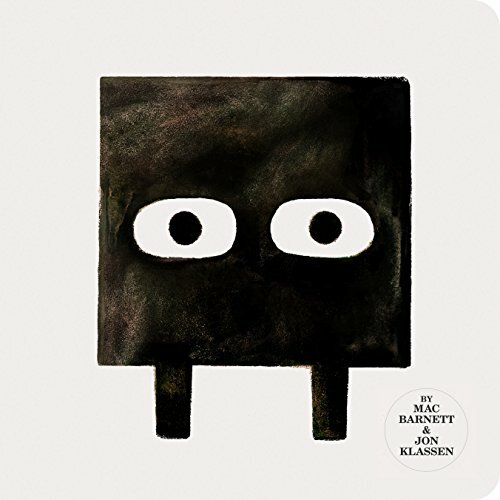 Since their first book together, Extra Yarn (2012, Balzer & Bray), Barnett and Klassen have created a series of deceptively simple, clever books. Square fits squarely into this line, but leaves the reader with more questions than it answers, which may be the point. Square is a solidly ordinary guy who pushes square blocks into piles. That is his work, and it is satisfying enough to him until Circle comes and calls the blocks an incredible work of art. Suddenly Square is a “genius” who needs to live up to the reputation Circle has given him. Is this a story about undeserved celebrity and how to handle it? Maybe. Is it a story about the “Emperor's New Clothes,” overvaluing something that is essentially ordinary? Maybe. Is it a story about society creating false heroes? Again, maybe. Circle asks Square to make a sculpture of herself, a request that's accepted as completely normal, not at all demanding or selfish. Circle is perfect to Square, and he struggles to create something as perfect as she is. He works hard, very hard, but he can't turn a square block into a circle. Instead, he's left with a circle of rubble. When Circle sees the rubble the next day, she declares it perfect, and Square the genius she knew him to be. Is this a story about artistic creation happening by accident? Maybe. Is this a story about the viewer deciding subjectively whether something is art, divorced from any actual aesthetic value? Maybe. Is this a story about finding and appreciating value that may not be obvious. Again, maybe. So is this a story about genius? Who decides whether someone is a genius? How do we know? Clearly Square doesn't think of himself as brilliant. Nor does the reader. He is a thoroughly ordinary Square, driven to work hard by his infatuation with Circle and her perceived perfection. Is Circle the real genius, creating art out of rubble simply be her unique understanding and appreciation? Or is Circle like the Dadaist artist, Marcel Duchamp, putting a urinal in an art gallery and thereby declaring a less-than-appealing object “Art” in order to force viewers to think about how they allow a cultural elite to dictate what art is and isn't. What is a genius and who decides? Is that the point of this story? Maybe. Either way, this is a very complicated series of questions for a deceptively simple picture book. Children won't understand any of these issues. To them it will be a silly story of a misunderstanding between friends. Maybe.